Organization of Kannada Training for the officers of PCCO, Central Tax, CCO Customs, B-South Commissionerate, City Customs Commissionerate and B-North-West Commissionerate - Reg. Calling for details in r/o all Group 'B' & 'C' Officers for the implementation of e-office Lite (SPARROW)- Reg. 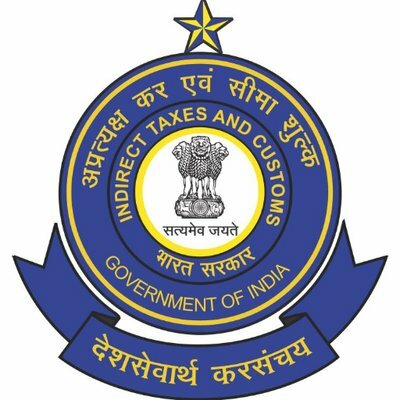 Minutes of the Combined GST Regional Advisory Committee Quarterly Meeting (4th Quarter) of Central TAx, Bengaluru Zone held on 17th May, 2018- Reg. Minutes of the Sectoral Meeting with Real Estate Segment held on 29th August, 2018- Reg. B-East: Vigilance Awareness Week- Veladictory Function- 02.11.2018- Reg. Circular No.02/2017 B-East (Vig.) dated 26.10.2017: Vigilance Awareness Week 2017- Workshop on "Ethics and Values in Public Governance"